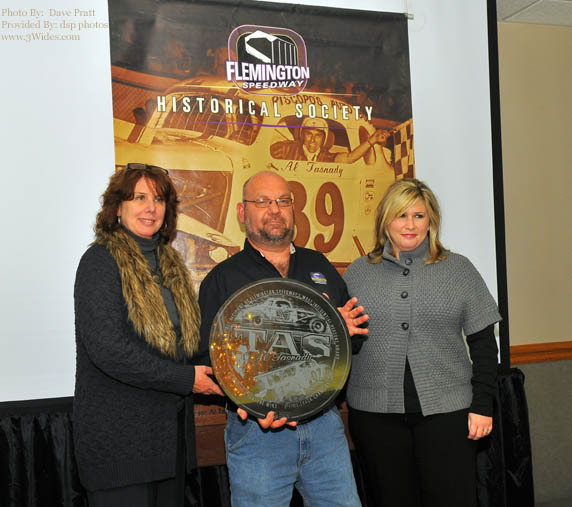 On Saturday, November 5, at the Flemington Elks Lodge, Flemington Speedway Historical Society honored legendary race car driver, the late great Al Tasnady, as the first ever recipient of Flemington Speedway Historical Society's Most Influential Person Award. Accepting the honor were Tasnady's widow Gail (left) and their daughter Kami, with Society President Mark Harrington presenting. It was also announced that the annual Most Influential Person Award will now be officially known as "The Tas Award". 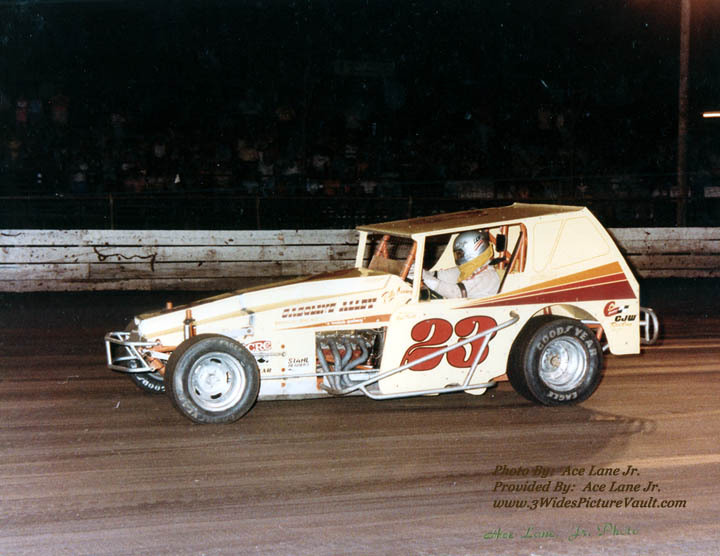 Eight Flemington modified championships and ninety-six Flemington modified feature wins are attributed to Al Tasnady, and he remains the Speedway's second all-time winningest driver. He passed away in 1988. 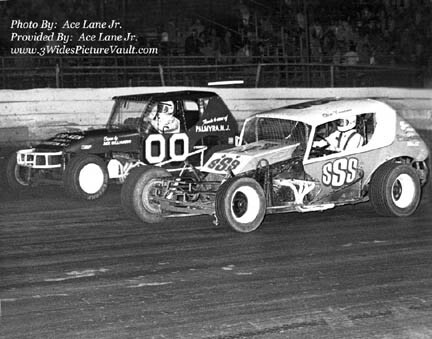 Garden State Vintage Stock Car Club (GSVSCC)'s Ray and Nancy Shea in this 2009 Wall Stadium "Turkey Derby" photo. There are no two people that have done more for the history of New Jersey's short track racing than Nancy and Ray. The racing community is saddened by the news of Nancy's passing. Sad news has reached us of the passing of Nancy Shea. 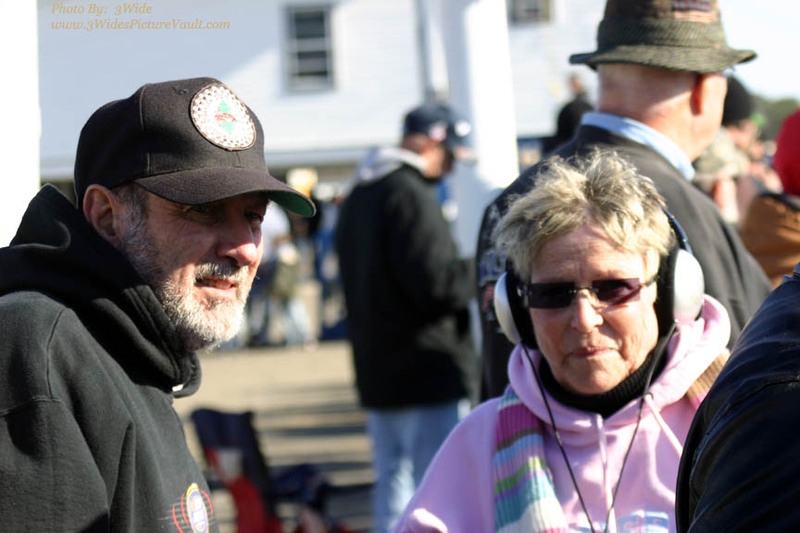 Nancy was the heart and soul of the Garden State Vintage Stock Car Club (GSVSCC) and she, along with husband Ray Shea, have done so much to recognize and preserve the history of the sport of short track racing here in New Jersey. In addition to her accomplishments with the GSVSCC, all will remember Nancy for her smile and her sincere friendship. I will miss not seeing her at various shows and events where members of the GSVSCC are present..., or seeing her standing somewhere near the top of the first turn stands at Wall Stadium where I'd usually look for her and husband Ray, and would always look forward to saying hello. Our sincere condolences go out to Ray, and to the family and many, many friends of Nancy Shea. 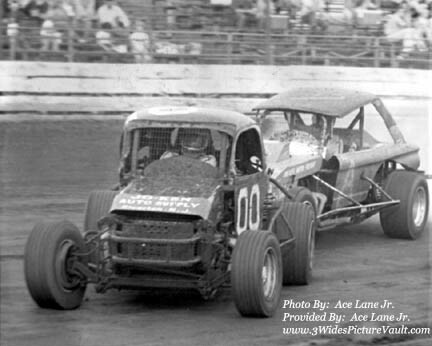 (Sept 2011): We are said to hear of the passing of Flemington Sportsman/Modified Driver Billy Cannon. 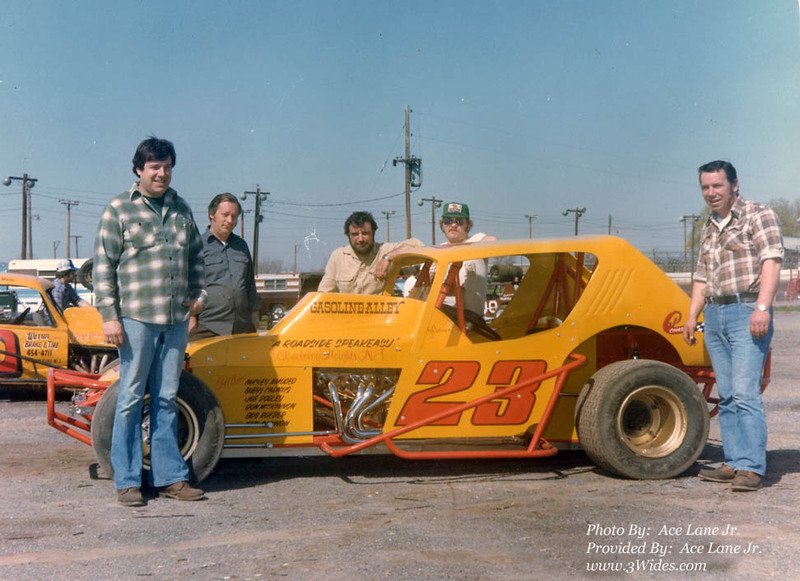 Many will remember Billy for the many fine rides he had behind the wheel of his great looking yellow #23 racers. Our condolences go out to the Family of Billy Cannon. 7/14/11: Sad news has reached us of the passing of Al Horger. 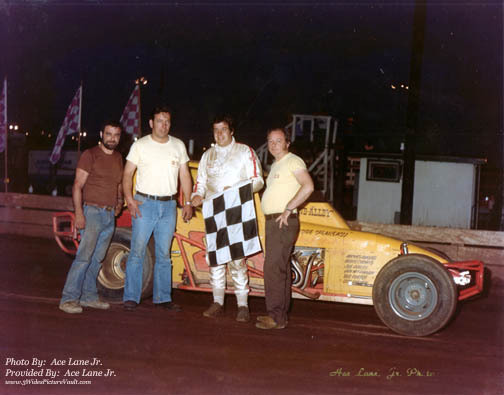 Many will remember the copper colored #00 cars that Al drove and then owned for such drivers as Rich Varone, Frank Eppolite and others at Flemington and East Windsor. Al's son Mark carried on the #00 tradition behind of the wheel in the 80's and 90's. Our condolences go out to the family of Al Horger. 04/06/2011: From Kevin Eyres: We lost a great supporter of the Wall Stadium Family, Stu Paer, sponsor to many, driver and mostly, friend to all. Stu was battling liver disease and had replacement last August, but as hard as he fought, it got the best of him. Stu was there to help everyone. He was a big supporter of the Matheny Christmas Party. He was a genuine "Car Guy" with an unbelievable collection of hot rods and race cars. You will be missed Stu. Rest in Peace and Godspeed.